The Robert Frederick Smith Explore Your Family History Center provides digital resources supporting the preservation, digitization, and sharing of African American family history. Visitors receive expert guidance on genealogy, oral histories, and how to preserve family films, videos, and photographs. 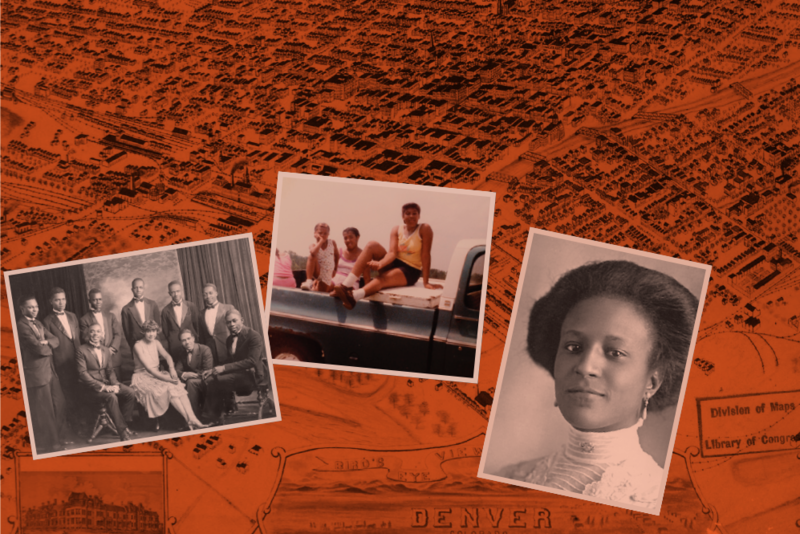 The Community Curation project connects African American communities across generational divides by preserving our history through the sharing of stories, photos, and videos to the Museum’s online community collection. Visit the Explore Your Family History Center on the 2nd floor of the Museum in our Explore More! gallery to research your family history using our online genealogy database services, view objects from the Collection, and engage with our interactive digital experience, Transitions in Freedom: The Syphax Family, which traces the history of African American families from slavery to freedom through archival documents, maps, photographs, and other records. Daily public programs and workshops provide in-depth information and hands-on learning opportunities related to genealogy research and family history. On the second Saturday of each month, the Museum offers special programming to visitors in the areas of genealogy, oral histories, digital archiving and preservation, and more. The Robert Frederick Smith Explore Your Family History Center supports three key initiatives that support the Museum's mission to engage new audiences and explore collaborations beyond Washington, D.C. while creating opportunities to tell the American story through the lens of African American history and culture. The Center is also home to the Museum's Great Migration Project, an innovative initiative that offers Museum visitors digitization services for their family's home movies. The Community Curation Program is an innovative digital first initiative bridging the generational digital divide in African American communities. By bringing access to digitization services to diverse communities across the country and creating a unique online platform, the program supports the preservation and sharing of our family and community stories. Internship and fellowship opportunities help to build a professional pipeline for historically underrepresented individuals to grow successful careers in the cultural sector. The Professional Curation Program identifies, researches, and acquires historically significant media collections for the Museum's Collection. Films, audio recordings, and photography documenting African American life are all a part of the collection supported by the Center. Search the Museum's Collection for objects related to African American family and community traditions.